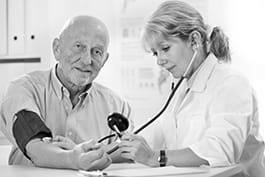 General practitioner gp's diagnose, treat, and help prevent diseases and injuries that commonly occur in the general population. Examine patient to determine the nature of disorder or illness, and record patient's medical information into his or her medical file. Maintain and record patient medical information, such as medical history. Provide overall care for patients and prescribe and administer treatments, medications and other remedial measures. Refer patients to other specialists and exchange relevant medical information with the specialists. Arrange for patients to be admitted to hospital. Assist in the prevention of diseases and disorders by advising patients on diet, exercise, hygiene and general health . Order, perform and analyse laboratory tests, X-rays and other diagnostic images and procedures. Provide prenatal and postnatal care. Report births, deaths and notifiable diseases to government authorities. In the exercise of the medical doctor's profession, provide healthcare services to patients in order to assess, maintain and restore patients' state of health.